When I shared a post about one of my moms favorite flowers the geranium I received feedback about how many of you loved the flower or thought you would plant some this year. When I came upon this today I knew that I had to share it with you all. I can remember when I was growing up many times that I would see old wheel barrows and wagons filled with flowers. I love thrifting, junking and as you all know love my flowers as well I am already making plans for our yard this year and this idea I love. It takes a few of my ideas and places them together in one. Odd drawers are fairly cheap at thrift stores and sometimes you will find them being tossed out. Why not use them for container gardening? What do you think? Happy Valentines day to all my readers. February 14th is a day that we look forward to each year. Not only a day of sweet chocolates to give our love but also a big day because here in southern Illinois it is also the opening day for many of our favorite spots. Yes, I realize that we are still in the middle of a frozen winter but the places that I love also know that in a few weeks the warmer weather will be here. So my favorite ice cream shop opens and the place I love to eat fish on the river opens for the season each year on February 14th. Today, it is not the only way that I want to share with you on how to show love to all those you love. You see there is another set of awesome products that will see lots of love as the weather warms up. A line of skin protective clothing from UV Skinz that will help protect your family from the dangerous UV rays found in the sun everyday. The history of our family is all comprised of farmers. In fact as far back as you go you will find some type of farming going on throughout the decades. While farming is a wonderful way of life there are some health problems that can come out of the dangers of farming. One of these is the fact that it takes the sun to grow the crops that are to be farmed. The sun as we all know gives off dangerous UV rays. Thus the dangers that I have grown up with watching many family members tend to skin cancer issues that have come about because of the dangerous UV rays. The issues of skin care and protection from the sun go way beyond the farming in our family. Every day we are exposed to UV rays and if your family loves to be outside as much as ours does you know this very well. Sun screen is not enough to deal with the problems but teamed with sun wear they become a duo that helps battle the deadly rays of the sun. There are many products on the market that can help shade the sun from the body but when you are in the sun you need to take every step you can to protect yourself. UV Skinz has a wonderful fashionable line of 50+ UV sun protection clothing. In the collection of swim wear you will find both long and short sleeve swim shirts, hats, shorts, gloves, shades, and sun screen. The best part is it is for every member of the family. Kid sizes range rom 6 months to 14 and adult sizes go up to a size 4 xl. UV Skinz is approved by the Melanoma International Foundation as well as an iParenting Media Award Winner. What Makes UV Skinz so special? We are often asked how our UV Skinz are different and what makes them so special. There are a variety of skin protection choices out there. Every day, we do our best to help take the guesswork out of ensuring that you make the best investment in the highest protection rated, most comfortable, fun and fashionable outdoor and swimwear products that will maximize your fun in the sun. Building a family of loyal lifelong customers and partners governs every move we make. If this isn’t enough to convince you, well, the proof is in the product! We were sent the Girls Aloha Sun Dress in pink. One thing my little princess loves is her dresses. The one thing that she does not know is that nana is giving her more than just another pretty dress. Nana can rest assure that she will be protected by the sun by the material of the dress with certified UPF 50+ while playing in the sand on the beach that her mommy and daddy take her whenever they can. I can rest assure that she is protected by those terrible UV rays that have damaged so many members of my own family. I love the flowing skirt of the dress it allows our princess to have that pretty feeling. Another great thing is that if we choose to have matching sets that is easy to do because the same material in this dress is found in both the man and womans shirt. Princess and the Prince have long suffered from eczema and thus hate to feel seems within the clothes. The aloha dress possesses flat lock seams throughout it to help avoid irritation. By the way have you been over to see the UV protective line of clothing on the UV Skinz website? It has so many items from outerwear ponchos and hoodies to shoes and sun protective wear for fun in the sun. Take advantage of a great deal currently going on that allows you to save and offer those you love the gift of UV protection. I was sent a product for review purposes only. The thoughts and opinions shared in this post are those of mine alone. I was not influenced in any way by the sponsor of this post. 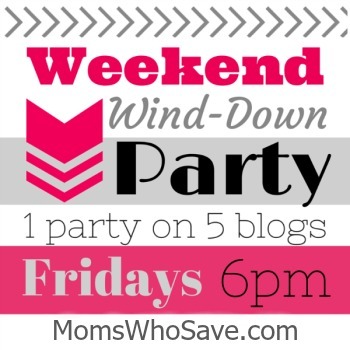 As a mother of six I learned quickly that the job of being a parent is never easy. At times the younger ages seem like the easiest when our children start to grow older. Taking care of their needs, playing with your child and meeting their wants and needs is the job that every mother wants to do. When our children start going out into the world by their selves by attending school and playing with others. Sometimes children can be cruel and at times our best friends can be a worst enemy. When I was asked to review Stress Free Kids by Lori Lite I instantly thought about a few rough times that my own children had. Stress Free Kids is a parents guide to helping build self esteem, manage stress and reduce anxiety in children. I would do anything for my children and if I could have helped them hold their head high I would have. This book holds lots of hints and tips to help children help their children. Our children face challenges in their school curriculum's to being teased on the playground, body image issues to the demands and anxiety that are caused in every day life. It once was said that being a kid is the best time of ones life but now it is more understood that kids are bombarded with problems and issues more now than they ever were before. Lori Lite award winning childhood stress expert has created her Stress Free Kids curriculum to alleviate her children's stress and to help them sleep peacefully Stress Free Kids is there to help guide parents how to help their children ease their worries, manage stress and build self esteem. • Lite’s self-published children’s titles and audio CDs have sold more than 85,000 copies! My thoughts is that this book is a very important tool for parents. It seems that I have always been a person who reads books that offer tips and guides. I was a young mother and had shelves of books as well as relied on what experts had to say in the area of taking care of infants, toddlers and children. 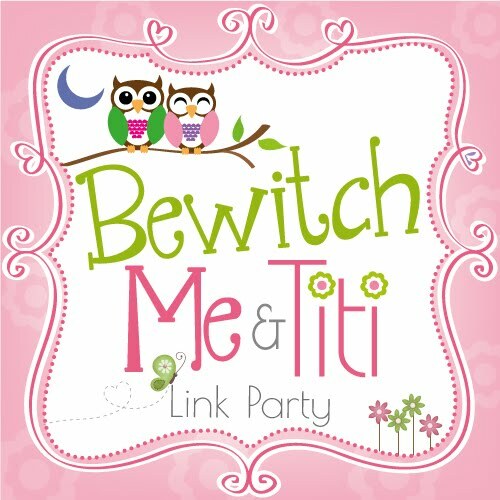 I know love the new book by Lori Lite. It seems to offer tips on just what parents are needing to help their child be proud of who they are and not feel so stressed out in life. So many parents are enlisting their children in activities to get ahead. While my own mother enlisted us in activities as we grew up we always had that sense of belonging and not the stress to be the best. The world is more competitive in my opinion and it is important to have fun in what they do as well. I simply love that Lite points this out in her book. I can remember as a girl watching the birds feed from the feeders, wondering what bird would move into the bird houses scattered throughout the year, and help my mother care for plants that would help the birds gather food throughout the year. She would have thought it a privilege to take part in the Great Backyard Bird Count. She knew the types of birds we had in our yard and how many as well our family would and your family can have lots of fun with this. The Great Backyard Bird Count is made possible in part by sponsor Wild Birds Unlimited. 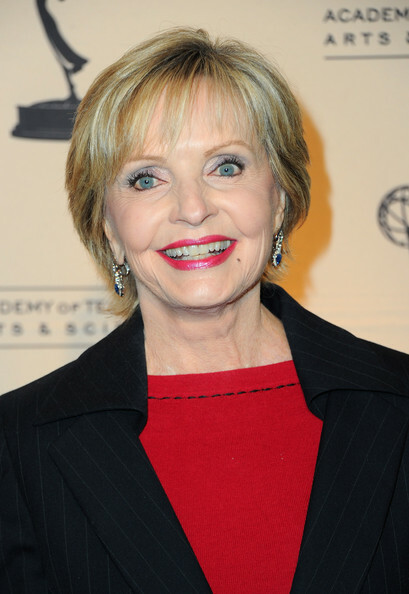 Happy Birthday Florence Henderson!!! 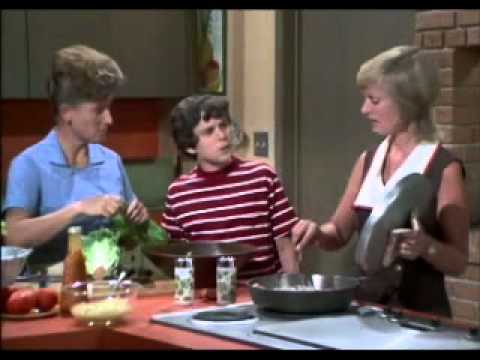 Famous for being the onscreen mom of the Brady Bunch Florence in a sense became the beloved T.V. mom. In a large shallow dish, like a 9x13 pan, stir together milk and first amount of salt. Add pork chops (you could use bone-in chops, if you wish) and marinate (if you want to call it that; it's more of a milk brine methinks), covered and in fridge, for at least one hour (maximum 4 hours). Turn chops once, halfway through marinating/brining time. When ready to cook chops, preheat oven to 200F and have ready an ovenproof platter. In a shallow dish (like a pie plate), combine freshly made bread crumbs (grind bread in food processor to make crumbs; you'll need about 8 slices) with garlic powder, rosemary, thyme and remaining amount of salt. Remove chops from milk and let excess milk drip off, then dredge chops in bread crumbs, lightly patting crumbs onto both sides of chops so they adhere. The road to the right for women to vote was a long ride. 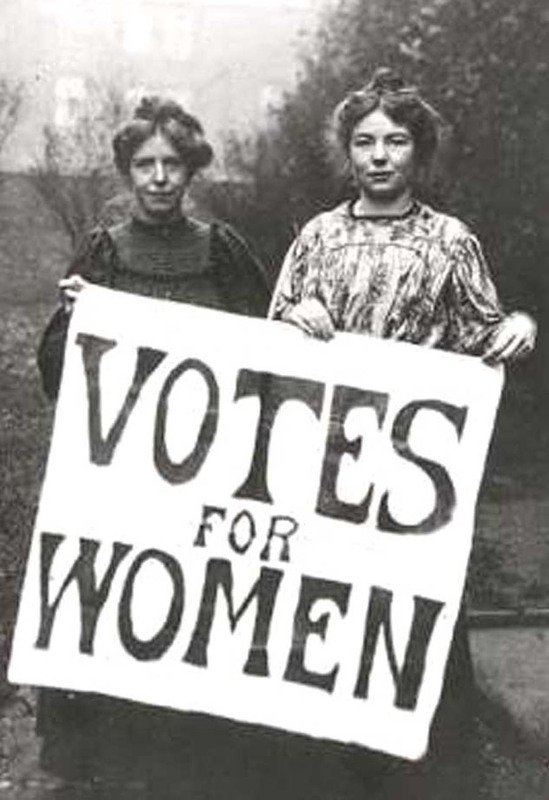 On February 14, 1920 pioneer woman suffragist Carrie Chapman Catt founded the League of Women voters to secure the right for women to vote and a few months later Congress granted the right for American women to vote. 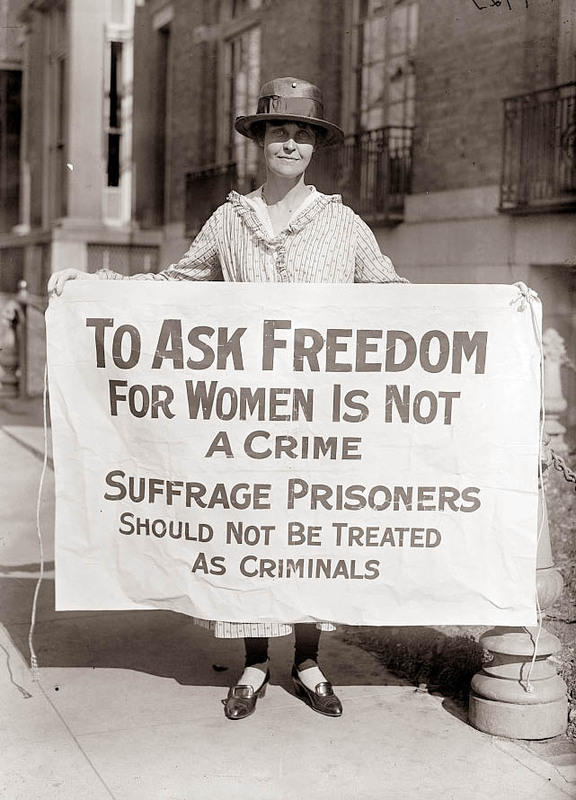 The League of Women voters achieved a goal but continues to fight the fight even today. The updated legislation seeks to better protect all voters against discrimination and ensure Americans are guaranteed their right to vote. Catts goal when she founded the League of womens voters was to ensure that equal access to the ballot box and this mission continues on. In my first year of college I learned a lot. There were many great teachers and one of my favorites was my history teacher. He seemed to bring it all to life. One assignment that he gave us was to read the autobiography of Frederick Douglass Narrative of the Life of Frederick Douglass. Very interesting story of a man who lived life as a slave, a freeman and an American social reformer. Through his writings Douglas could share his story and impressed many. Douglass escaped slavery and became leader of the abolitionist movement. Many were amazed at his oratory and writing skills and he stood as a living reminder to those who believed that slaves did not have the intellectual capacity to function as independent American citizens. Frederick Douglass was born into slavery in February of 1818. Since records were not kept well in those times his exact birthdate is an unknown. Douglass chose to celebrate his birthday on Valentines day. At the tender age of 20 Douglass fled from slavery and travelled to Massachusetts. Douglass would record his life as a slave in a book that he would later write. Douglass would be chased by slave catchers until a British friend would purchase his freedom. Douglass would become a newspaper man and founded The North Star. Douglas wrote several books including Narrative of the Life of Frederick Douglass, an American Slave, which became influential in its support for abolition. He wrote two more autobiographies, with his last, Life and Times of Frederick Douglass, published in 1881 and covering events through and after the Civil War. After the Civil War, Douglass remained active in the United States' struggle to reach its potential as a "land of the free". Douglass actively supported women's suffrage. Without his approval he became the first African American nominated for Vice President of the United States as the running mate of Victoria Woodhull on the impracticable and small Equal Rights Party ticket. Douglass held multiple public offices. Geraniums, one of my mothers favorite flowers. They are easy to grow annuals fit well in home garden, container gardens, flower beds, and even as house plants. Believe me that my mother pretty much grew them anywhere and every where she could. In pots, in flower beds, in plastic container, and wherever she could find a place to plant them. One of the places I know she used to love to keep them was in my bedroom in the wintertime. I loved how they looked but the odor they had was a bit to extreme for me. Just the other day I mentioned those flowers as well. Geraniums are popular for the big, bright bloom and because they are so easy to grow. Geraniums also have a long garden life blooming from summer through fall. Bring them inside and they continue to live. Geraniums are hardy plants that will withstand light frosts. The one thing that geraniums do desire is lots of sun and temps below 70 degrees. One of the easiest ways to start growing geraniums is to buy small plants from garden stores at very low prices and plant them around the garden and in containers. Planted in full or partial shade with a bit of compost and a general purpose fertilizer to maximize growth and plant health. Mid summer should see the plants growing bright white, red or pink blooms. One easy tip to keep the plant blooming is to pinch or cut off the blooms after they die. 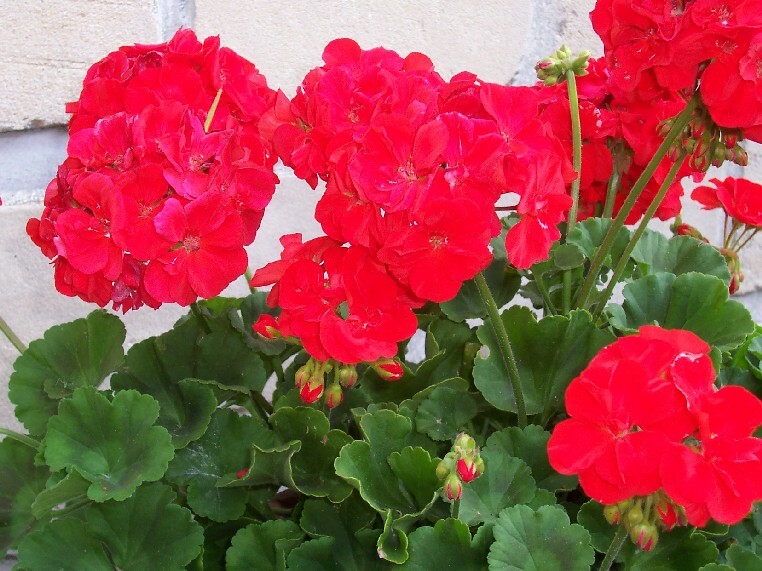 Geraniums have a life span of about 18 months and will last through the winter as indoor houseplants. One good way to keep them blooming inside is to trim them back to 1/3 of what they are outside. They prefer soil on the dry side and a bit of fertilizer once a month helps. Flu season is raging around the country fueled by these never-ending ice storms, incredibly cold temperatures and perpetual snowstorms that will not go away. We are getting blasted today. To help you ease your child's painful red and runny nose symptoms from winter colds and flu, Boogie Wipes has a special offer for Valentine¹s Day. And, because Boogie Wipes loves you, you'll also receive 10 FREE Sample Size Sachets of Boogie Wipes! All these items are just $17 with FREE SHIPPING! At retail this would cost $25.50. Hurry, this exclusive box will disappear after 8pm PST on Valentine's Day. Buy now at shop.boogiewipes.com. US only. Red Deviled Cake is delicious and oh so perfect for valentine day. The definition of deviled is dark, rich, chocolate, that is stimulating spicy "deviled" Devils food cake has went by many names including red velvet, red devils cake, waldorf Astoria and $100 dollar cake Red velvet cake is a beautiful mild chocolate flavor cake that is starting red. Complemented with a thick white frosting with different regions of the country using different types of frosting. Red devil cake has at times been criticized for the amount of food dye. The red dye is what gives the delicious cake the reddish brown color. Devils food cake was originally red but normally thought of as dark chocolate. Most red deviled cakes made today are created with processed cocoa and a touch of red food coloring to create the brownish red color that has been made super. Southern states historically the red velvet cake color would have been made up from beets and cocoa. 1902 - Devil's food cake was the favorite dessert of the early 1900s. In 1902, the recipe first appeared in an American cookbook called Mrs. Rorer's New Cook Book by Sarah Tyson Rorer. 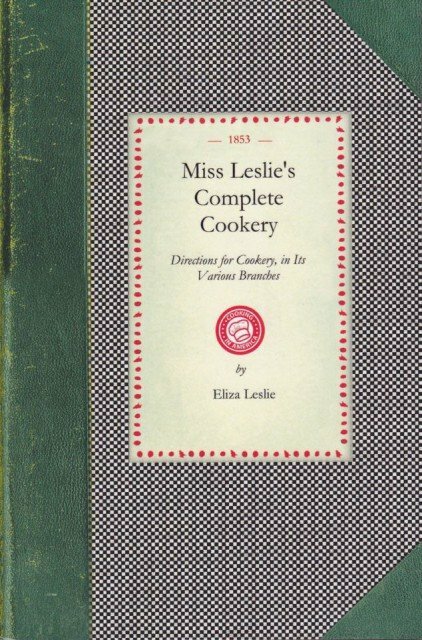 By 1913, recipes began appearing in cookbooks across America. 1950s - Some people think that this cake originated in the 1950s at the Waldorf Astoria Hotel. The restaurant archives can’t produce any evidence or records of this, but because this version is so popular, the restaurant likes to take credit for it. 1940s - In the 1940s, a rumor was spread that a customer asked for a copy of the recipe and was given a bill in the amount of $100. According to the rumor, the angry customer, apparently with revenge in mind, then began circulating the recipe along with her story. As with most urban legends, they seem to have a life of their own, creeping through a society one person at a time. 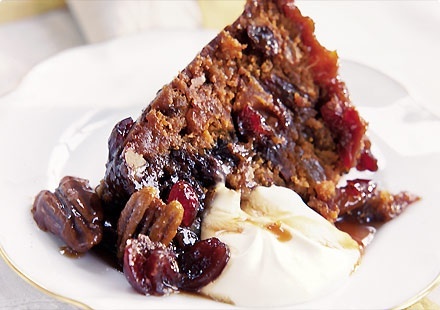 1970s - In the 1970s, the cakes’ popularity faded when red dye was linked to cancer. Heat oven to 350 degrees. Place pie crust in 9 inch glass pie pan as directed for one crust filled pie. In large bowl combine all brownie layer ingredients; beat 50 strokes with spoon. Spread in bottom of crust lined pan. Bake at 350 degrees for 30 to 35 minutes or until top is shinny and center is set. If necessary, cover edges of crust with foil after 15-20 minutes of baking to prevent excess browning. Meanwhile, in small bowl, combine cream cheese, sugar, vanilla, and 1 egg. Beat until smooth. Working quickly, drop cream cheese mixture bu small spoonfuls over partially baked brownies; carefully spread to cover brownie layer. Bake an additional 18 to 20 minutes or until cream cheese is set. Cool at least 1 hr. Arrange strawberry halves, cut side down, over top of cream cheese layer. Refrigerate 1 hr. Immediately before serving, place fudge in microwavable safe bowl. DEFROST for 45 seconds. Drizzle on top of pie with a plastic bag or icing piper. Today, February 12th is the birthday of Illinois famous individuals it is the birthday of Abraham Lincoln. Abe Lincoln as he is often called is known by many Americans as the 16th President of the United States. "Honest Abe" was born in the wilderness of Hardin County Kentucky on February 12, 1809 In 1861 Abraham Lincoln became president of the United States a country that would soon wage war among itself one that he believed would save the nation and stop the secession of the southern states. Abraham Lincoln was also the author of the Gettysburg Address and the Emancipation Proclamation that ended slavery in the U.S.
Preheat the oven to 350 degrees F. Peel and core the apples, then slice them very thin. Place the slices in a large mixing bowl. Pour lemon juice and lemon zest over the apples along with the nutmeg. Toss the apples with a spatula till evenly coated by the lemon juice, zest, and nutmeg Chop the unsalted butter into several very small chunks. Grease a 9x13 baking dish with unsalted butter. Create a single thick layer of apple slices on the bottom of the dish, covering the entire surface with apples. Pour heavy whipping cream into a small pot and warm slowly over medium heat, whisking occasionally as it warms. When cream begins to boil, whisk in powdered sugar, nutmeg, and almond extract. Remove from heat. Strain the sauce through a mesh strainer or sieve into a serving dish. Serve warm sauce over hot slices of Apple Bread Pudding. This is not a thick sauce, and it will need to be stirred from time to time to keep a skin from forming on the surface. Best if served immediately. Heat a thin layer of olive oil in a sauté pan over medium heat. It is important that the heat is the right temperature because you want the pancakes to cook all the way through the middle by the time they are brown on the outside. 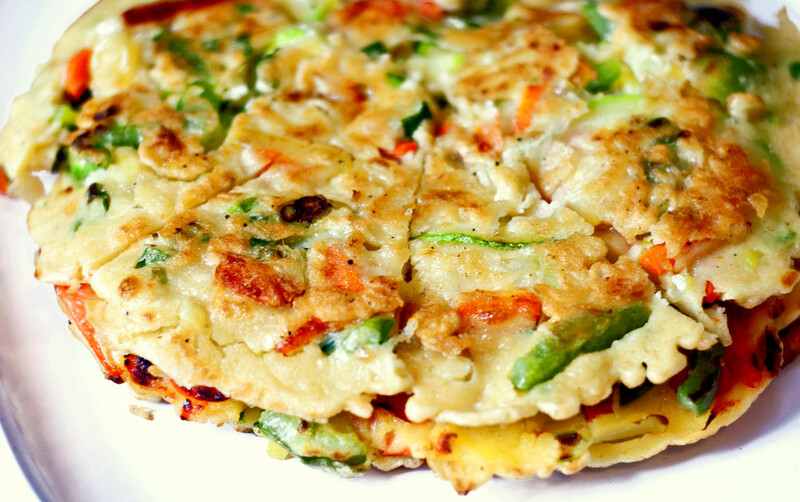 Once the oil has heated up add pancake size dollops of the veggie mixture into the pan. Cook for several minutes until the bottom starts to brown. Then flip and repeat.